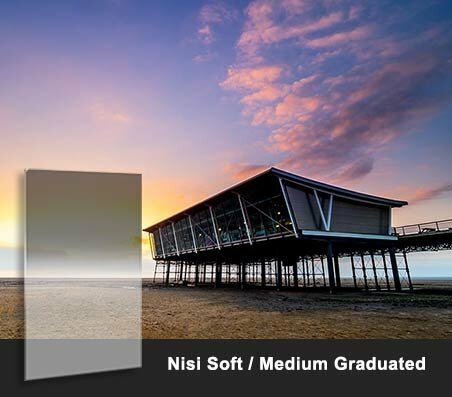 Nisi produce the highest optical quality photography filters available, together with ingenious holder systems, the Nisi V5 Pro and M1 Mirrorless for M4/3 systems, and the S5 for 150mm. 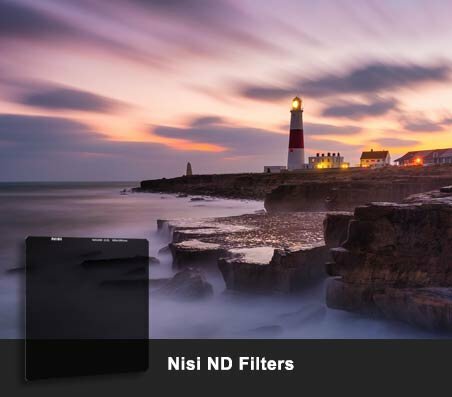 Nisi are fast becoming one of the Market Leaders in the UK and Globally, through the highest quality engineering, innovative design, and are now finding more and more photographers turning to them. 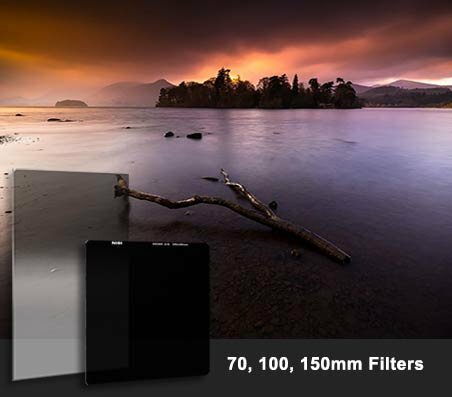 The Nisi Pro range of Nano coated optical glass filters include Soft, Medium and Hard graduated together with a Reverse graduated filter and ND filters. Ideal for landscape photography they are available in 100mm, 70mm mirrorless and 150mm sizes. The ingenious V5 and M1 System Holders offer a unique price point compared to other systems when a polariser is included, allowing all photographers to enter the Nisi system and build a kit with optical glass quality filters. All ‘slot-in’ system including Lee, Hitech and Cokin, use a holder mounted on the lens via an adapter, with large optional polarisers mounted on the outside. Nisi have re-engineered this in a unique and clever way. The ‘adapter’ is engineered to suit standard and wide lenses, with small step rings for different sizes. No wide angle adapters are needed. The V5 Pro system even includes the three most common sizes. The main adapter also accepts an included polariser, with a unique cog wheel for turning the polariser. The advantage is the polariser can be used independent of the holder. Being closer to the lens reduces the size, eliminates mechanical vignetting, and being completely light sealed eliminates light reflection from the rear. The holder is engineered from aviation aluminium, with a unique filter rail system and lock pin to prevent detachment. Nisi 150mm System- suitable for modern UWA lenses. The Nisi M1 70mm mirrorless filter system is based on the same ingenious system as the bigger V5 system. Developed especially for the Micro Four Thirds system and smaller cameras with a lens thread, ideally suited for Olympus, Fuji, Panasonic and other mirrorless systems. This ingenious solution provides an all in one system without the need to purchase expensive and large polarisers. Being closer to the lens allows the polariser to be completely light sealed and will not allow light to reflect back into the lens. The adapter is threaded for 58mm and fits easily onto other lenses down to 37mm via inexpensive step down rings. 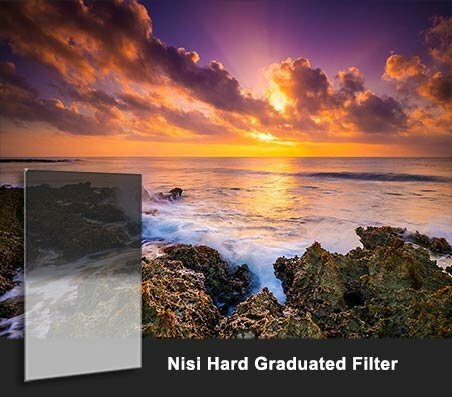 NEW from Nisi Filters the S5 System, the revolutionary system designed for today's modern ultra wide lenses requiring the use of 150mm filters. 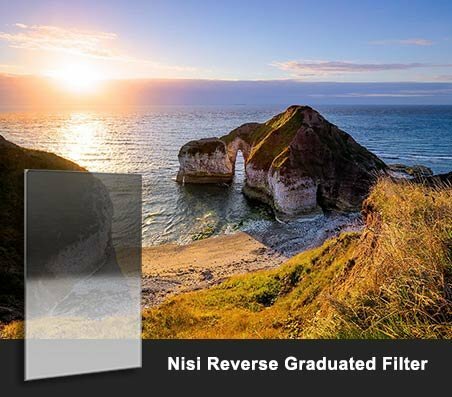 The system is the next evolution in the Nisi Filter System, building on the success of patented designs and engineering quality to give photographers class leading gear that will actually give real benefits. The approach to the S5 builds on the innovations introduced in the V5 Pro and M1 Systems, by utilising a 'close-to-lens' C-PL system which can be operated independent of the filter holder. The Benefits are clear, the position of the filter holder is undisturbed, the C-PL is sealed and cannot reflect from the rear, and it is independent, meaning it can be used without the filter holder. Engineered from the best materials available it is CNC machined from aviation aluminium, using a quick instal lens adapter, and uses innovative easy slide filter rails. Discover the benefits of the Nisi S5 System for yourself. 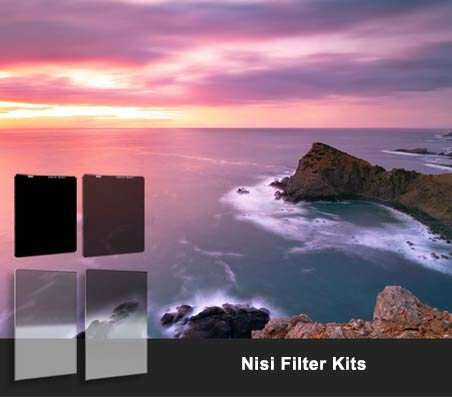 All Nisi filters are the highest quality optical glass. Each side is double ground, polished and multi coated to reduce reflections, flare and distortion. Nano coating to both sides reduces streaking from water and cleans easily. Graduations are smooth with neutral colour cast by filtering UV light, and ND filters given equal light transmission right across the surface, even into the corners. Available in 70mm, 100mm, 150 and 180mm sizes for all systems. Glass filters provide optical quality not possible with resin filters. They are distortion free 2mm thick and will not bend if left in high temperatures. Each filter is quality checked, wrapped in acid free tissue and heat sealed into plastic bags before being packed into their individual highly protective padded wallet. Protective leather storage boxes are available for multiple filters.